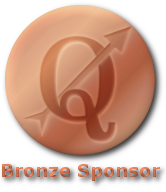 We are happy to announce that NextGIS became a bronze sponsor of QGIS (open-source geographic information system). In addition to development and documentation, we’re trying to reinvests into the projects around which we build our business. This donation can be spent on anything that the project steering committee finds necessary. We hope to continue to sponsor QGIS and other projects we use in our work.